Ignore the Cassandras. Israel is not facing a potential Arab demographic time bomb. In 2017, Israel is the only advanced economy and Western democracy endowed with a relatively high fertility rate, which facilitates further economic growth with no reliance on migrant labor. Moreover, Israel's thriving demography provides for bolstered national security (larger classes of recruits) and a more confident foreign policy. In contrast to conventional demographic wisdom, Israel is not facing a potential Arab demographic time bomb. In fact, the Jewish State benefits from a robust Jewish demographic tailwind. At the outset of 2017, for the first time - and in defiance of projections made by Israel's demographic establishment since the early 1940s - Israel's Jewish fertility rate (3.16 births per woman) exceeds Israel's Arab rate of fertility (3.11). Actually, in 2017, Israel's fertility rate is higher than most Arab countries (e.g., Saudi Arabia – 2.1 births per woman, Kuwait – 2.4, Syria – 2.5, Morocco – 2.1, etc.). The Westernization of the Arab fertility rate has also been in effect in Judea and Samaria: from 5 births per Arab woman in 2000 to about 3 in 2016; from a median age of 17 in 2000 to 21 in 2017. The substantial, systematic Westernization of Arab fertility – from 9.5 births per woman in 1960 to 3.11 in 2016 – has been a derivative of the accelerated integration of Israeli Arabs into modernity, in general, and the enhanced status of Israel's Arab women, in particular. For example – as it is among the Arabs of Judea and Samaria, whose fertility rate is similar - almost all Israeli Arab girls complete high school, and are increasingly enrolling in colleges and universities, improving their status within their own communities. This process has expanded their use of contraceptives, delaying wedding-age and reproduction, which used to start at the age of 15-16, to the age of 20 year old and older. In addition, Arab women are increasingly integrated into Israel's employment market, becoming more career and social-oriented, which terminates their reproductive process at the age of 45, rather than 50-55 as it used to be. Furthermore, an intensified urbanization process has shifted an increasing number of Israeli Arabs from self-reliant agricultural to urban jobs, and from private rural homes to urban apartments, which has reduced the need for - and the convenience of raising– many children. At the same time, since 1995, there has been an unprecedented rise in the rate of Jewish fertility - especially in the secular sector - resulting from a relatively-high level optimism, patriotism, attachment to national roots and collective/communal responsibility. From 80,400 Jewish births in 1995, the number surged to 139,400 in 2016, while the annual number of Arab births remained stable at around 41,000. Contrary to conventional wisdom, the 73% rise in the number of Jewish births took place despite the mild decline of haredi sector fertility (due to expanded integration into the employment market, higher learning and the military) and the stabilized modern-orthodox fertility, but due to the rising fertility of the secular Jewish sector. The unprecedented tailwind behind Israel's burgeoning Jewish demography is documented by the proportion of Jewish births in the country: 77% of total births in 2016, compared with 69% in 1995. Also, in 2016, there were 3.2 Jewish births per Arab birth, compared to 2.2 births in 1995. Moreover, while Aliyah (Jewish immigration to Israel) persists in higher numbers than forecasted by Israel's demographic establishment (26,000 in 2016), it has a dramatically higher potential, which obliges Israel to reintroduce the pro-active Aliyah policy – in France, throughout Europe, Russia, Ukraine, Argentina, etc. – as it was prior to the Aliyah of one million Jews from the former USSR during the 1990s. A September 7, 2006 World Bank study documented a 32% inflated number of births claimed by the Palestinian Authority. Simultaneously, an annual Arab net-emigration has been documented, persistently, from Judea and Samaria (about 20,000, annually, in recent years), while the annual net-number of Israeli emigrants (staying abroad for over a year) – total departures minus total returnees – has decreased substantially: from 14,200 in 1990 to 8,200 in 2015. At the same time, the population of Israel almost doubled from 4.5MN in 1990 to 8.4MN in 2015. In 2017, the total number of Arabs in Judea and Samaria is 1.8MN, not 3MN as claimed by the Palestinian Central Bureau of Statistics. The latter includes in its count over 400,000 Palestinians who have been away for over a year; over 300,000 Jerusalem Arabs, who are doubly-counted (by Israel and by the Palestinian Authority); and 100,000 Palestinians who married Israeli Arabs and received Israeli ID cards, who are also doubly-counted. Furthermore, the Palestinian Authority claims zero net-migration, ignoring the annual net-emigration (from Judea & Samaria) of 20,000 Arabs in recent years, and the systematic net-emigration since 1950, which has been on the rise since the year 2000. A September 7, 2006 World Bank study documented a 32% inflated number of births claimed by the Palestinian Authority. In March 1898, the leading Jewish demographer and historian, Simon Dubnov, ridiculed the Zionist vision, claiming that by 1998 there will be no more than 500,000 Jews in the Land of Israel…. 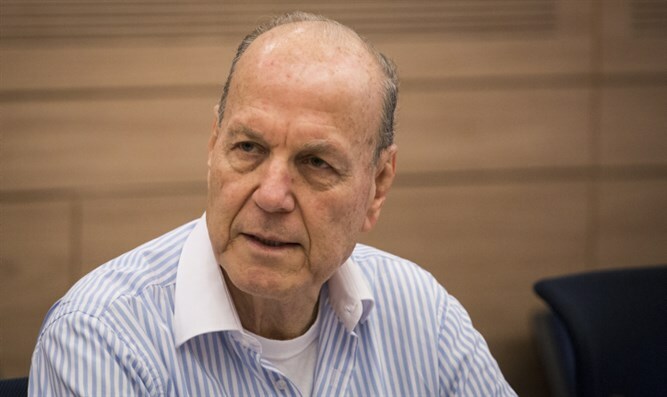 In October 1944, the founder of Israel's Central Bureau of Statistics, Prof. Roberto Bachi, contended that under the best-case-scenario, in 2001, there will be 2.3MN Jews in the Land of Israel, a 34% minority…. However, in 2017, in defiance of demographic conventional "wisdom," there are 6.8MN Jews in the Land of Israel (including Judea and Samaria), a 66% majority, benefitting from a robust demographic tailwind.